Ravenclaw students have the upper hand when it comes to the brainy side of life! Just look at Ravenclaw's founder, Rowena, she was the one who designed the puzzle-like layout of Hogwarts hallowed halls. That would take a lot of headspace. Just imagine adding moving staircases to an already complicated building. Maybe Rowena's hand in the architectural planning of the school explains why the Ravenclaws have such an awesome common room. It's bigger than all the other house's rooms and has tall windows and marble walls with a giant, austere fireplace that's framed by eagles. If you aren't inspired to achieve greatness in that room then you probably don't belong in Ravenclaw! If your child wants to join the brainy students in Ravenclaw tower, then he or she is going to need the right robes! When it comes time to head over to Platform 9 3/4 your child's uniform will be ready. 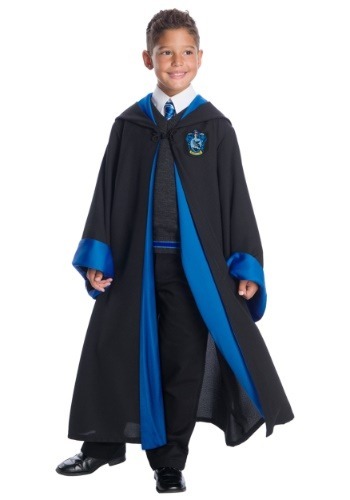 This costume comes with a Ravenclaw sweater that is cute enough to wear to a muggle school. The robes have a rich blue trim along the sleeves and in the split and hood. The Ravenclaw insignia marks the chest so even people from outside Hogwarts will know which school your kid is representing. Finish the look off with a wand and watch the magic unfold! While this costume will work for all sorts of costumed events, there's nothing like Halloween that makes the witches and wizards come out! 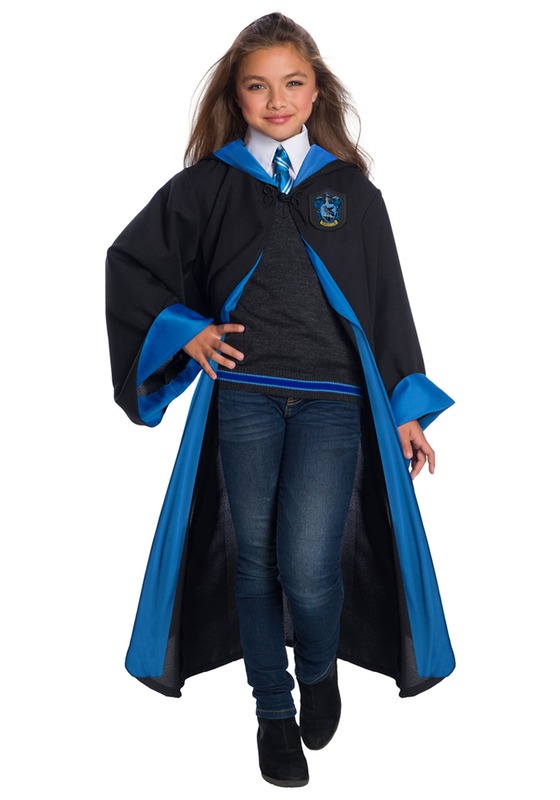 Your kiddo can head out trick-or-treating as a specific student from the books such as the whimsical Luna Lovegood or just pretend to be a real-life Ravenclaw, either way, people are sure to pick up on their smarts as soon as they come on the scene. If anything is going to push this kid to get all "O"s on their O.W.Ls, it's enough chocolate to last until December!